Now, I have a nice degree on the wall, with all the rights and privileges thereunto appertaining. But puppets are my co-therapists and their credentials seem to surpass mine. Children tell the puppets far more than they tell me alone. Why is this? The answer is simple: Puppets give safe distance. No child wants to see a therapist who fixates on her problems, nor feel there’s something wrong with herself. In my playroom, it’s the puppet who has the problem. And to a much greater extent than the child. That’s the secret. If a child is here for anxiety, Puppet Miranda has hilarious, unreasonable terrors. The boy here for anger meets puppet Pedro, who mentions unmentionable aggressive thoughts … the very thoughts children harbor and sometimes enact. The boy can hardly believe Pedro feels the same way. And before he knows it, we are talking. Other puppets join us, supportive “voices of reason.” Four-way conversations ensue between the troubled puppet, the helper puppet, the child … and oh yeah, me. 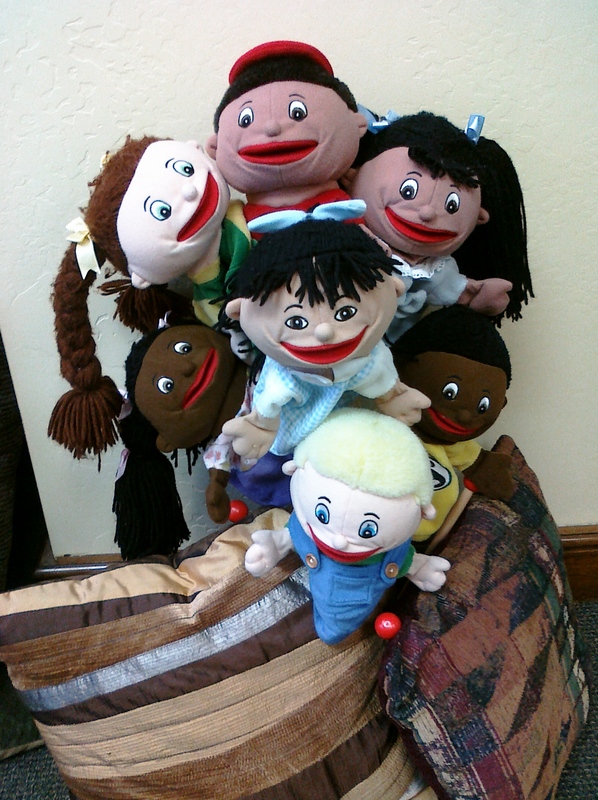 Puppets help bring the child’s problem comfortably into the room. They often speak for the child, making her feel not so alone and not so BAD. Puppets are but one of many play therapy tools. But for me and many child providers, they open the door. 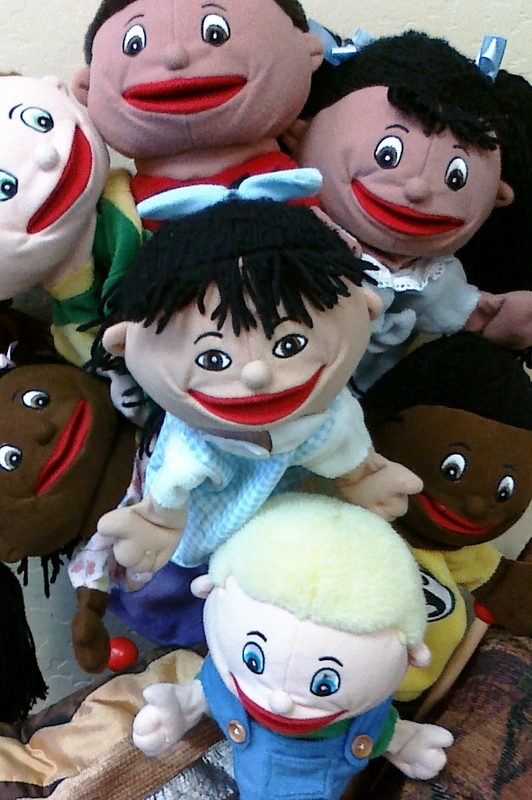 Puppets are exceptional delivery vehicles for Cognitive Behavioral Play Therapy, described above. CBPT helps children try on new thoughts and rehearse new behaviors. And guess who models those — yes, the puppets. There are many models of play therapy, including directive (didactic in style), non-directive (following in style), and familial (incorporating parents). One expressive mode is Sand Tray therapy, using miniature toys children select and arrange in sand. Sand Tray helps children heal from trauma, abuse, and emotional damage too painful to speak aloud. Regardless of the mode, play therapy provides stand-in symbols (toys, materials) to represent feelings and people, events and things, wishes and fears. The child’s imagination creates a buffer and a flexible “space” to explore tough stuff. Therapeutic play allows the freedom to approach and retreat from uncomfortable ideas, memories, and feelings. Children open up about burdens such as obsessions and compulsions, low self esteem, wishes that one was “never born,” despair, rage and shame. Play gets inner feelings “out on the table” so we can deal with them together. Good. Freddy sends a tangible and memorable message out the door – long outlasting the single hour with me. I ought to put him on the payroll.